The Bornean Swiftlet Collocalia dodgei is found in the mountains of Borneo. 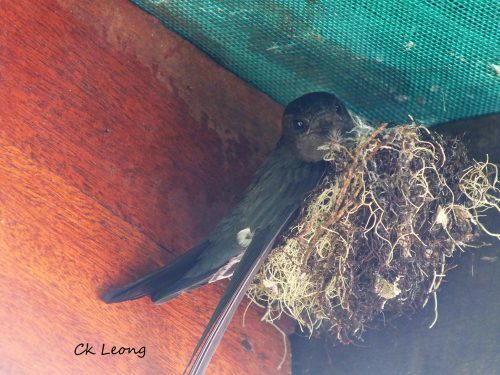 It is not uncommon for it to live together with the more common and very similar Glossy Swiftlet. The Glossy is found in a wide variety of habitat from coastal to montane forest. In flight both species show its white belly but the Bornean has a dark green sheen to its upper feathers while the Glossy display a dark blue gloss.